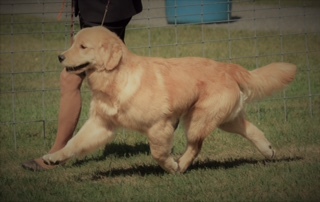 Bentley was born January 2016 from my first Clooney (CH Harborview’s Too Cool To Drool) X Lola litter. 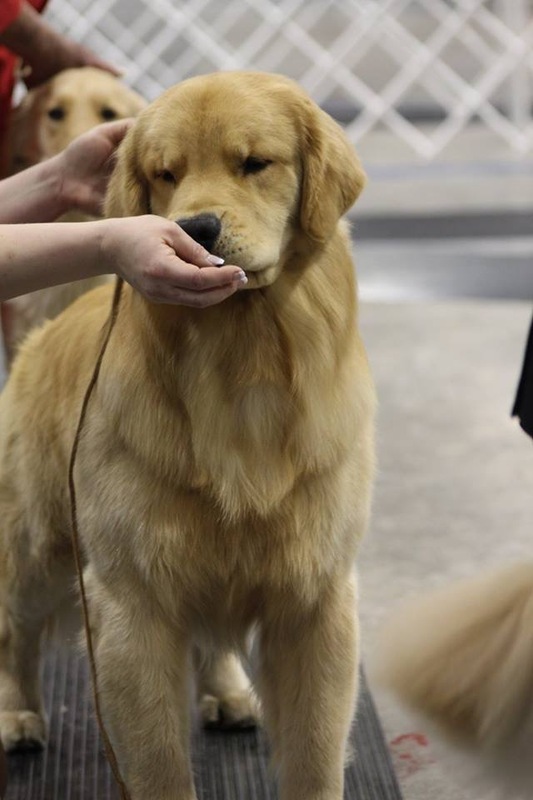 Bentley was originally sold as a pet and when he was almost 9 month old I was asked by his owner,Lisa if she could show him in the conformation ring to fulfill a wish on her bucket list. 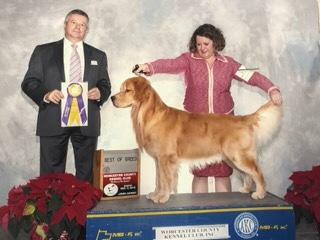 With my guidance and Lisa’s determination, Bentley became an AKC champion in 14 shows with 4 majors. 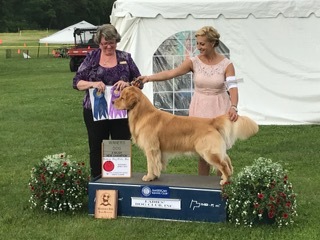 Bentley also earned his UKC championship in one weekend at 9 months of age and is 3 points away from his CKC championship. Presently with limited showing Bentley is working on obtaining his AKC Grand Championship. 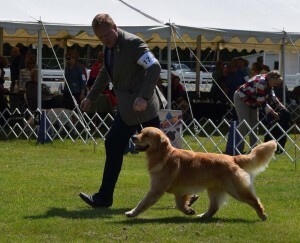 In two weekends he has been awarded Select Dog and very recently awarded Best of Breed. When he is not in the show ring Bentley lives in NH and can be seen performing in the Rochester Toyota TV commercials!